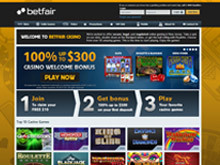 "With a $300 first deposit bonus, 25 slots including Cleopatra, Dragon Lines and Davinci Diamonds, 19 table games and 5 video pokers, Betfair's venture with Caesars is the early leader in the race for New Jersey"
24 table games including blackjack, single & double-zero roulette, Pai Gow, several single-hand video pokers and Mississippi Stud among others. 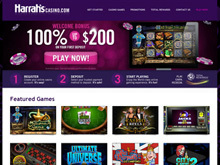 Of all the online casinos to launch in NJ so far, Harrah's offering with 888 seems to be the most basic. The slots are largely unknown and the table game choice is small leaving you with the feel of an entry-level offering. 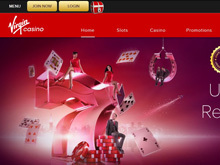 Following the demise of Betfair's partner Trump Plaza, Caesars have teamed up with Betfair for their New Jersey casino and with the Game Account platform powering it, the games choice is arguably the best all-rounder of all the online casinos I have reviewed to date. 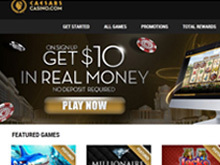 Caesar's inaugral online casino for New Jersey uses Amaya as it's content provider so slot games will be unfamiliar to most. 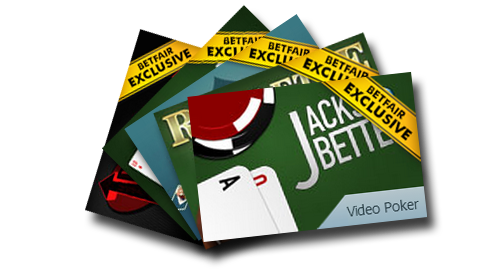 The table games include roulette, baccarat and blackjack plus several video pokers variants. 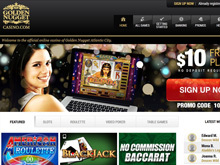 Golden Nugget's new online casino for New Jersey has a focus on slots with several recognizable titles. It has a limited video poker offering and table games are limited to just BJ, baccarat and roulette for now. 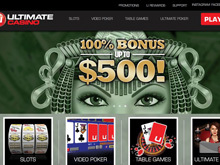 Little-known Las Vegas-based Ultimate Gaming teamed up with Trump Taj Mahal (who have since gone bankrupt!) to offer an online casino with some IGT slots and is probably the best New Jersey online casino to date for table game choice. 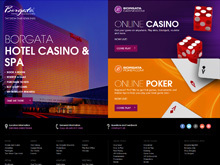 While Borgata's online casino has a reasonable range of both slots and table games, they are clearly lacking in support which is quite surprising for what many consider to be the most prestigious casino hotel in Atlantic City. 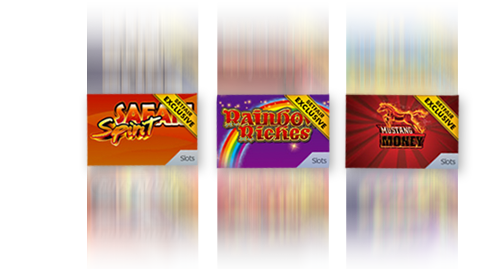 With more of a classical theme, Tropicana & Virgin's casino offers some IGT slots plus a few other obscure titles and a reasonable array of table games including Pai Gow, blackjack, 4 video pokers and even a keno game. Having played and reviewed the entire list of online casinos launched in New Jersey so far, it's interesting to see just how each brand takes it's baby steps into the unknown. Having seen an aborted attempt in the early Noughties by a couple of brands like MGM, the fact that a regulated and licenced market with a defined framework now exists at least means there is a guide-rope to help get online gambling walking the right path. Of all the online casino reviews of NJ casinos you will find on this site, a couple of things stand out. Firstly, the games choice is quite small with a number of operators having very similar offerings. 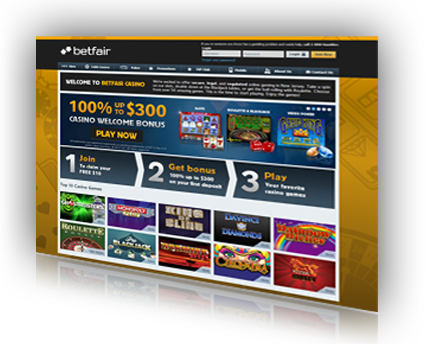 For slots players there is a little more scope with Caesar's & Betfair's casino having some land-based games from Ainsworth and Incredible and a number of IGT slots being available at more than one casino. It's interesting also to see a couple of casinos try unknown games which strikes me as a little odd when acquisition so often relies on familiarity. The star ratings of each casino above will no doubt guide you the player down the path of what is good and not so good in my opinion but ultimately, it will depend on what games you like, what brand you feel most comfortable with and of course, how you can get paid out when you win! Not everyone can get to an Atlantic City casino cage to withdraw their winnings but at least most casinos offer ACH and check options. And lest we forget, legal and regulated NJ online gambling is in it's infancy. As it grows and the casinos launch operations in other States, no doubt the online casinos you see here today will grow into behemoths that are more condusive to a player's full set of needs. And I fully expect the list of online casinos in NJ to grow exponentially too. But for now, while it might lack choice, be a tad frustratinhg and subjected to taxation, at least it's finally 100% safe, regulated and legal!